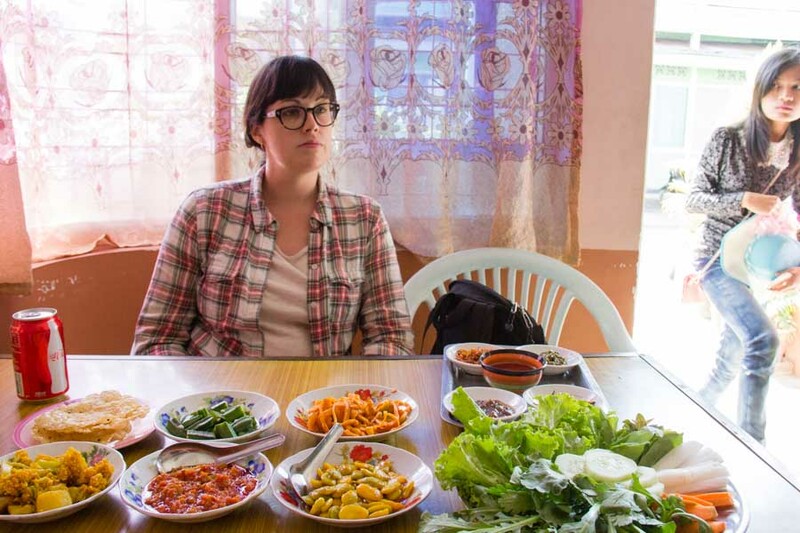 Home » Asia » Myanmar » What is Traditional Burmese Food? Traditional Burmese food often consists of a curry dish – usually pork, beef, or chicken – with a side of rice, a plate of barely boiled vegetables, and a large gathering of small appetizers or dips. The apps and dips can be spicy, savory, or tangy. They can also provide textures like crispiness or creaminess. You can dip the vegetables in them, spoon some onto your rice, or even just eat it straight. If you just saw the bowl of curry, you’d probably be inclined to order something else, but trust me — you won’t be hungry after a Burmese meal, in fact you probably won’t be able to eat it all. The richness, the heavy use of oil, and the large plate of rice will leave you full and satisfied.